It's been called the "unicorn of the sea" and we agree! 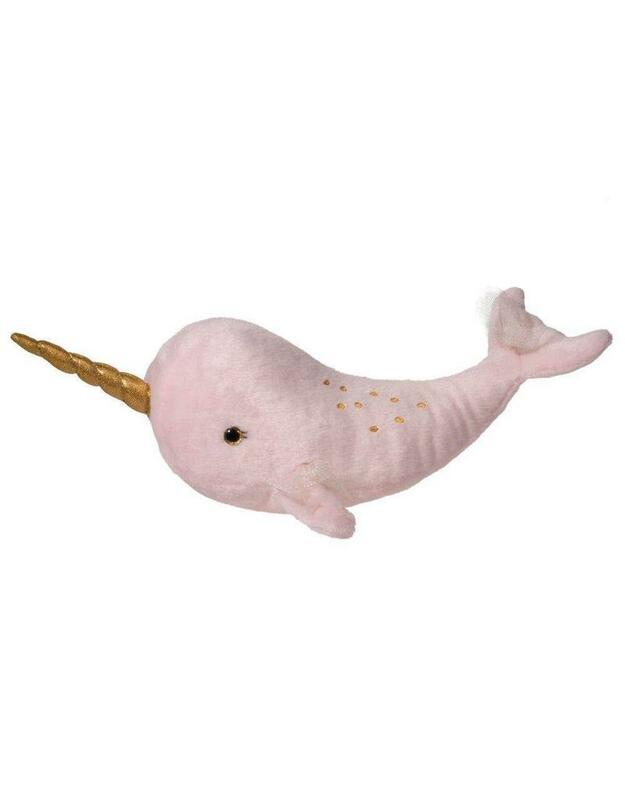 This beautiful, soft pink horned whale is a mix of whimsical and realistic. At 36" long, it glows with soft light and communicates with sounds. Requires 3 AAA batteries.